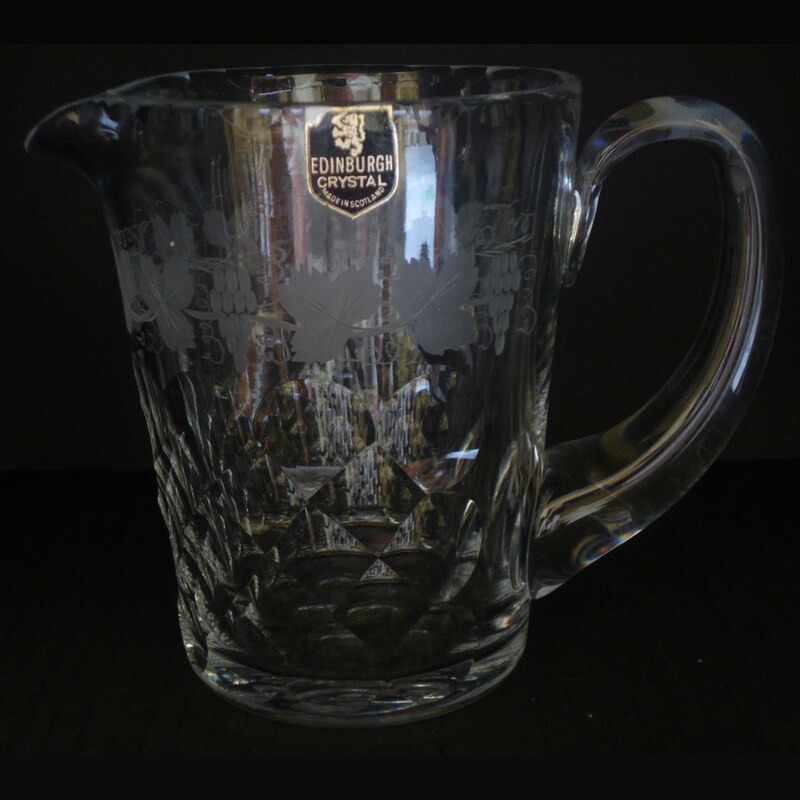 Engraved and cut, Lochnagar is a high quality range. The engraving is real engraving, not sandblasting. The mark ‘Made in Scotland’ around ‘Edinburgh’ is in the centre of the cut pontil on the base. The jug is 155 mms high, 115mms across the rim, and holds about one and a half pints of liquid. The original black label is on the side of the jug. It is in excellent condition, no chips or cracks and the few marks on the base appear to relate to movement during storage or display.